Mike’s an ISTP without a doubt and his “Oh, well” attitude about everything, except his granddaughter should give that away. When Saul says he “knows a guy that knows a guy?” That guy is Mike. Can’t you see it? He’s a Scorsese character that lived past the end; he’s a hitman that was shot by the protagonist but lived and didn’t care about revenge. He’s all of the characters you thought were cool in movies but ultimately wouldn’t want to be. Not that ISTPs don’t want to be ISTPs, but in Mike’s case, he doesn’t have anyone but his granddaughter, and it’s that same granddaughter that’s his only weakness. Or soft spot, should we say. MIke’s first function is Introverted Thinking. It’s passive and analytical, which is perfect for Mike’s job(s). 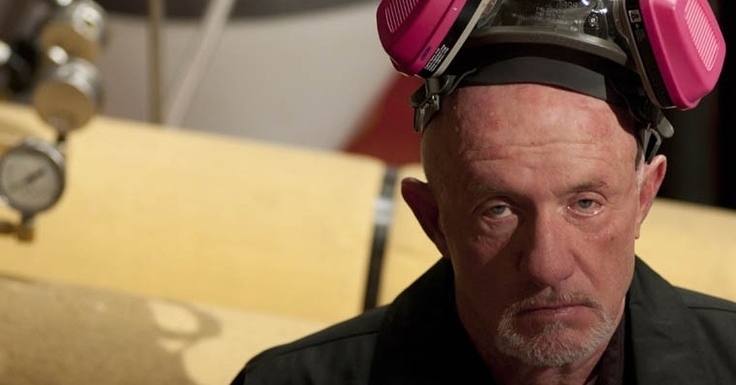 Of all the characters on the show, Mike probably kills the most people by his own hand, yet he’s probably the calmest of all the characters save for Gus. Why? ISTPs are known to be one of the most, if not the most calm under pressure. This could have to do with the fact that Ti is their first function which, when found in a user, will find a person to be calm as mentioned. Their second function is Se or Extraverted Sensing, which is best for taking things as they are, understanding their environment and making full use of whatever tools they have at their disposal. In Mike’s case, his tools can range from actual tools to weapons to whatever knowledge he has on hand of whatever the situation may call for. When we’re first introduced to Mike, he’s called by Saul to clean up Jesse’s apartment to get him out of any trouble that might come with waking up next to your overdosed girlfriend. 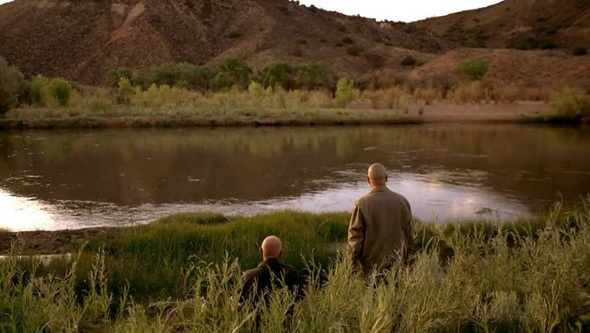 After literally slapping sense into Jesse, Mike keeps calm, tells Jesse what story to give to paramedics and the authorities and then begins to quickly and efficiently clean up any drug paraphernalia. While ISTPs aren’t always in the jobs that involve making and hiding dead bodies but freedom is important to them. Independence is something that comes with being a free thinker that enjoys working with their hands. Since about the only emotion ISTPs care to ever show are outbursts of anger, it’s best to give them space. Mike’s only real outbursts are usually directed at Walt, who he feels is the source of all of his problems. 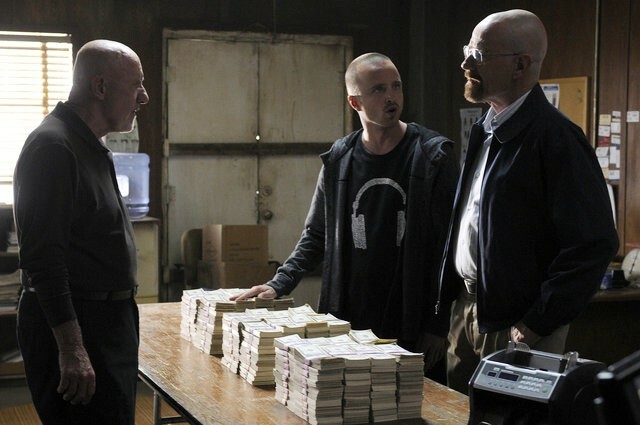 It’s funny to think that in any other show or movie, Mike might actually be the main guy while Walt and Jesse play the roles of screw ups that just get whacked. Mike isn’t out to control anything or anyone as ISTPs like to work alone, only caring for company if they have the option to back out whenever they feel the need. When Fring has Mike babysit Jesse, taking him on a ride-a-long for pick-ups, his annoyance with Jesse’s impatient fidgeting is shown but once Jesse “proves” himself, Mike a little more willing to accept “the kid” previously known as Walt’s idiot junkie partner. As mentioned with Mike’s granddaughter, ISTPs really only show any sort of affection for those closest to them, and even then, don’t expect hugs and compliments 24/7. The ISTP playing a role on the side leaves room for all the interesting scenarios that Mike gets placed in, stepping out of the shadows to take care of business, and disappearing again. When Mike bugs Walt’s house, he shows little concern for Walt’s privacy being affected or any other problems that come along with a job like that. When he’s asked to remove the bugs, he shows just as much interest. Mike’s hapless attitude isn’t an act as a character, he just really doesn’t care. He’s there to do the job he was paid to do and is going to see it through. ISTPs operate similarly as other people’s lives might entertain them, but their judgements, if any, normally stick to the more aesthetically unenlightened. Past that, ISTPs don’t get particularly concern themselves with how other people live or act. As long as it doesn’t directly affect them, they’re usually pretty able to remain neutral, using logic and reason to handle any issues they have. That is of course, unless the moment grabs them and won’t let them go. Then things may get a bit messy. This entry was posted on 10/03/2013 at 1:38 am and is filed under MBTI Artisans, MBTI Stuff with tags breaking bad, istp, mbti in fiction, mike. You can follow any responses to this entry through the RSS 2.0 feed. You can leave a response, or trackback from your own site.